Magnificent Vintage Birds of Paradise English Wilton Rug, Country of Origin / Rug Type: English Rug, Circa Date: Mid – 20th Century – This is a beautiful birds of paradise design English Wilton rug is one of the more iconic patterns from this world renowned carpet maker. 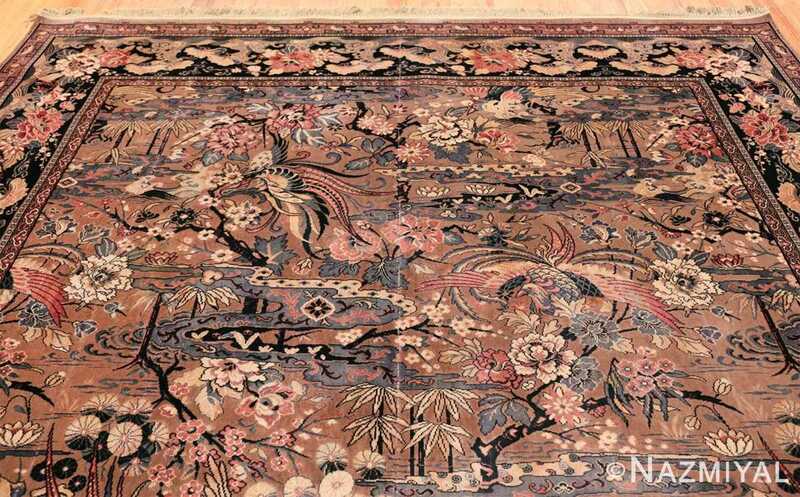 This garden of paradise rug is filled with romantic fascination and classically beautiful imagery. 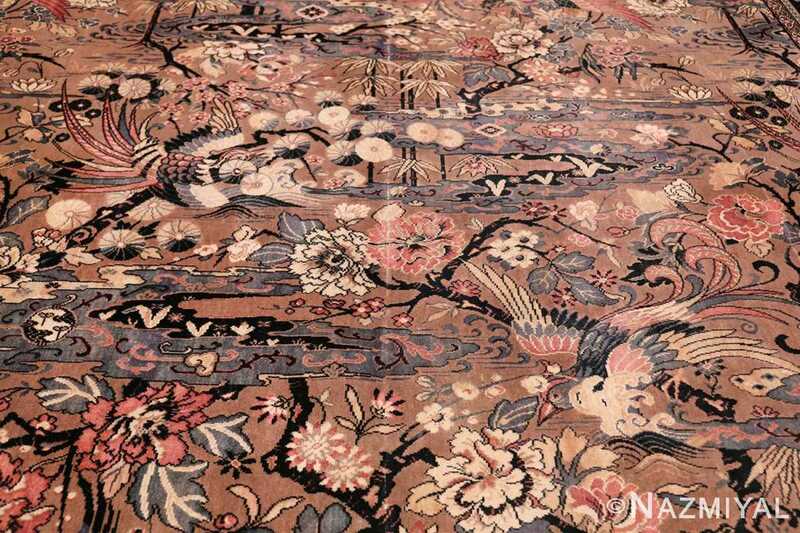 Everywhere you look you will beautiful garden designs that are comprised of streams, flowers, trees and of course the piece de resistance, the iconic birds of paradise. 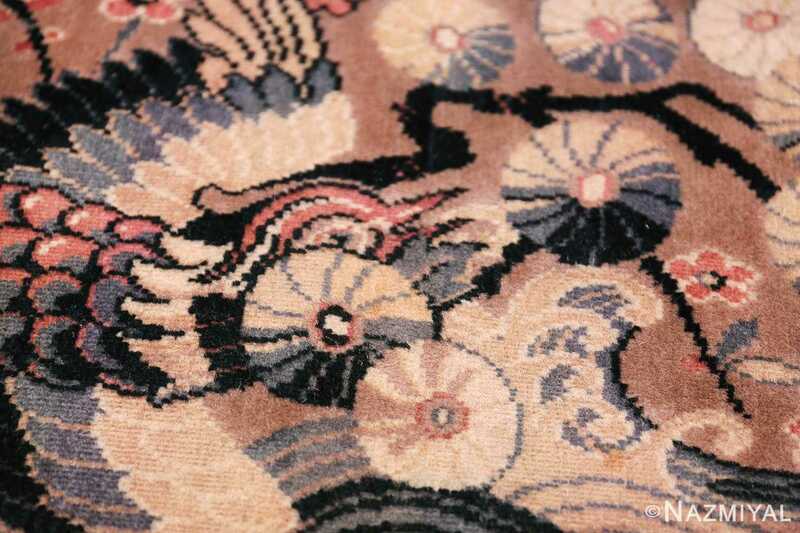 The great deal of pattern is off set by the soft combination of colors tones. As a result of this combination, this beautiful English rug does not feel busy. 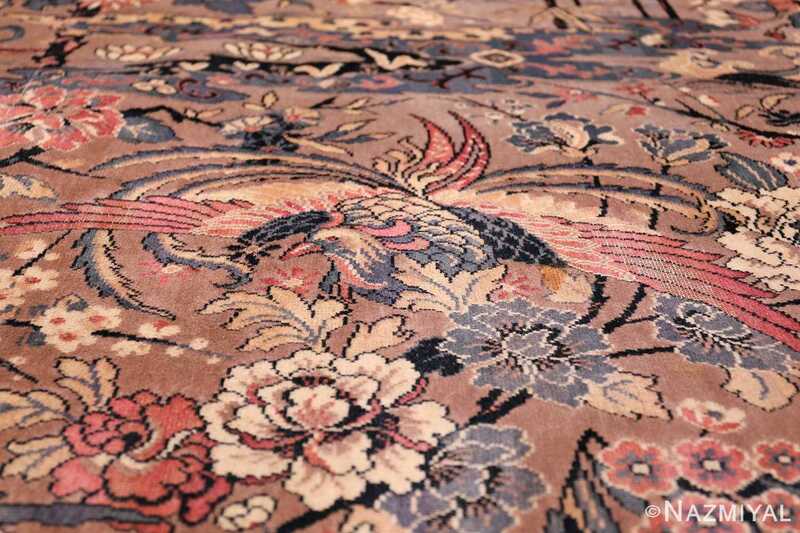 This birds of Paradise vintage English Wilton rug is a true testament to the skill of original rug artist who first drafter this beautiful rug pattern and design. 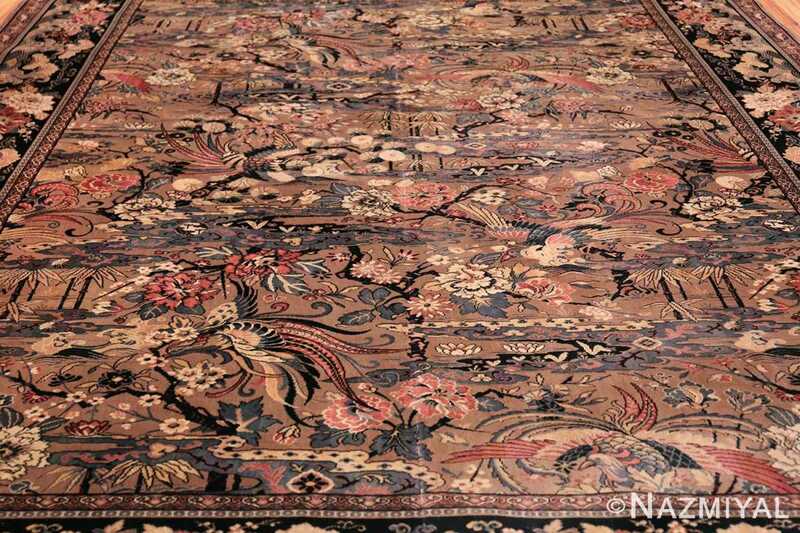 This is more than likely the Massachusetts based rug company that had ordered this room size rug originally. 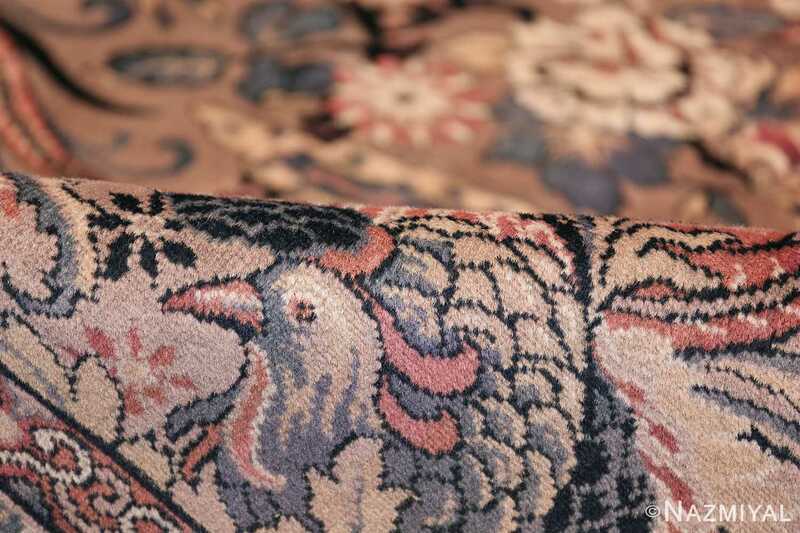 The beautiful Wilton carpets are machine made rugs that were first created in strips or panels and then seamed together to create the final complete piece. 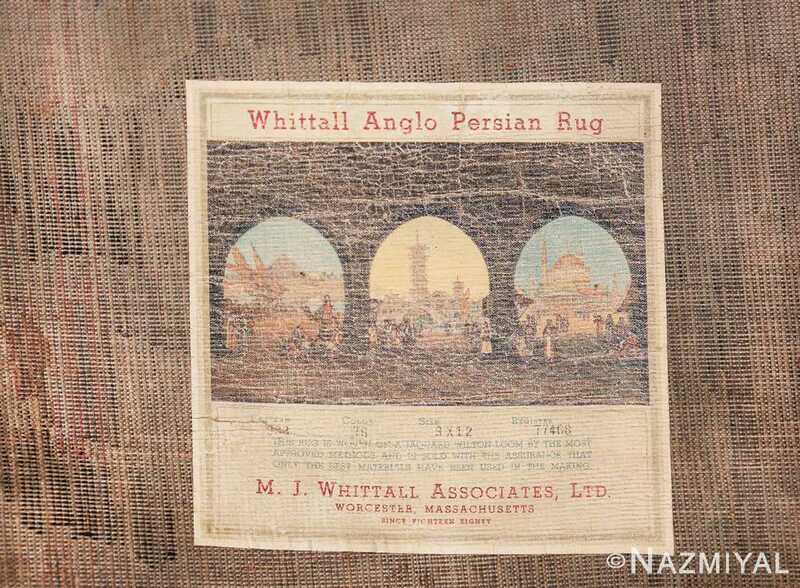 This process enabled the Wilton manufacturing to produce a variety of rug sizes, with the same base design, rather quickly and at reduced price points of their handwoven rug counterparts. 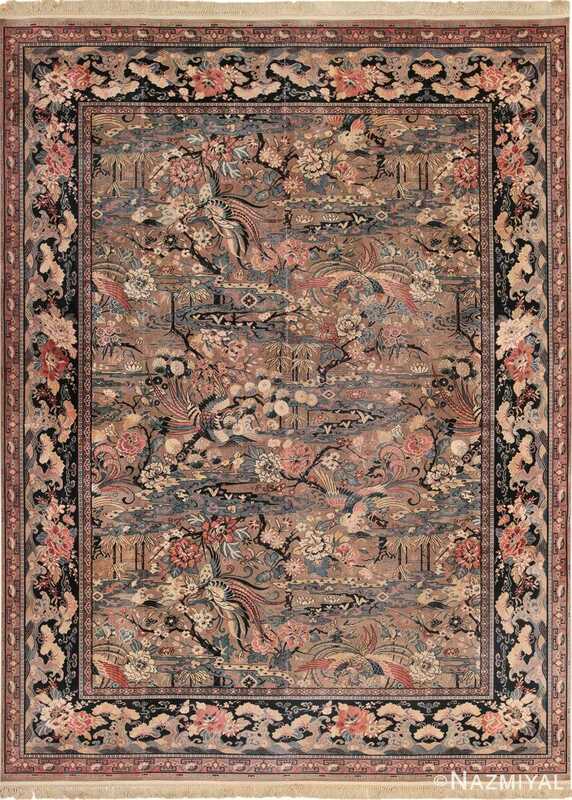 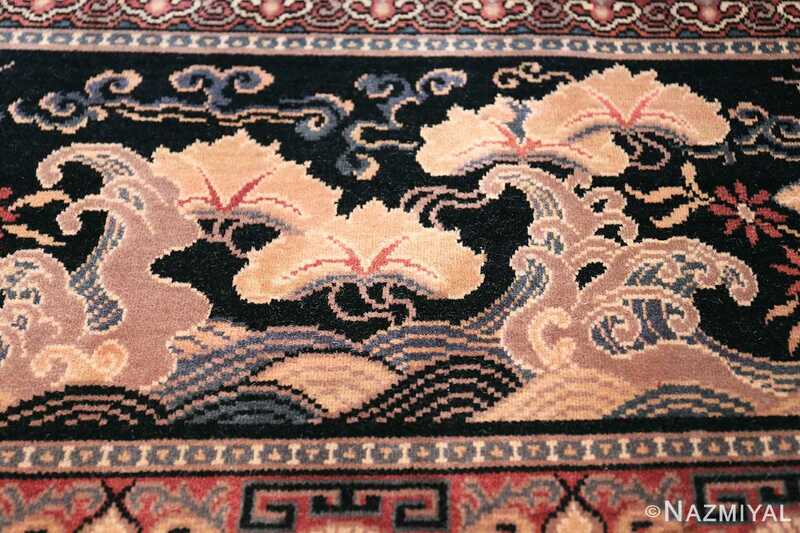 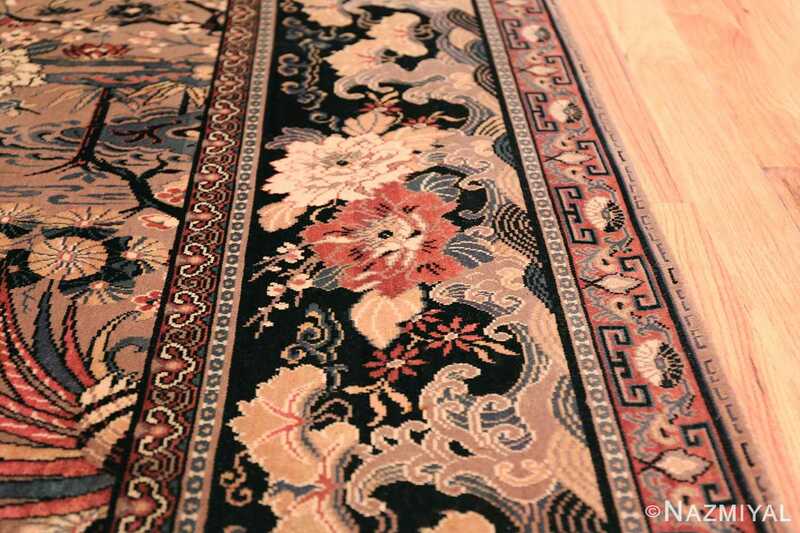 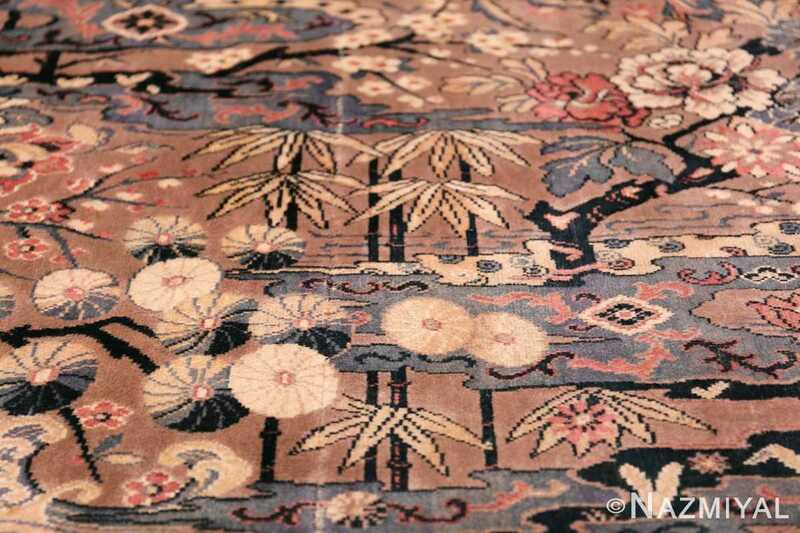 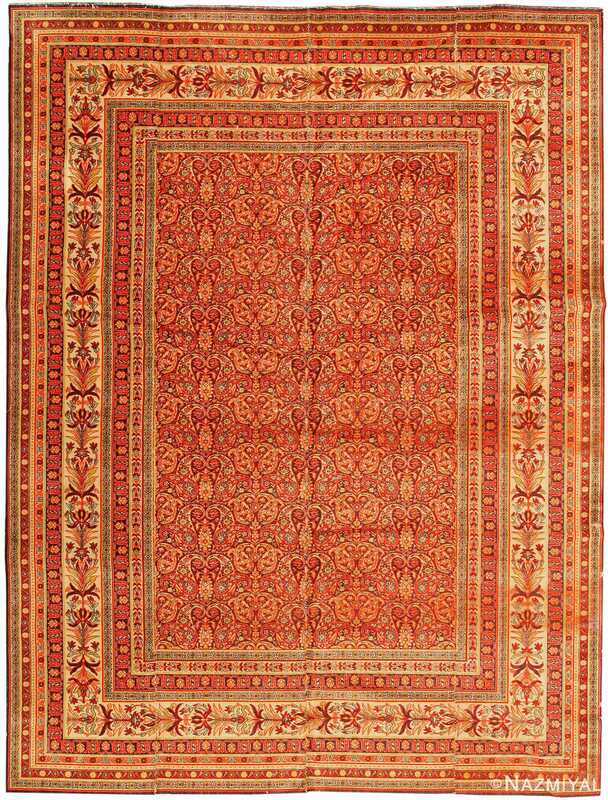 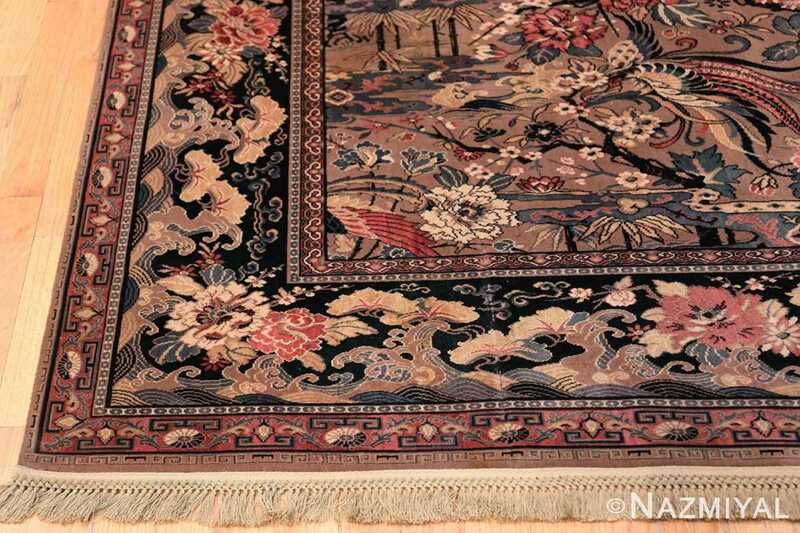 This made these rugs and carpets quite accessible and desirable to those who were looking for beautiful Oriental rugs but could not afford to the get the genuine hand woven examples. 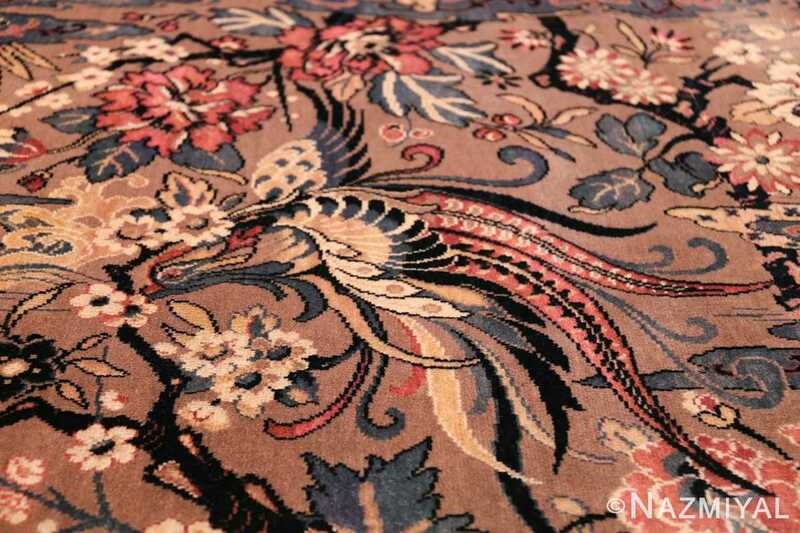 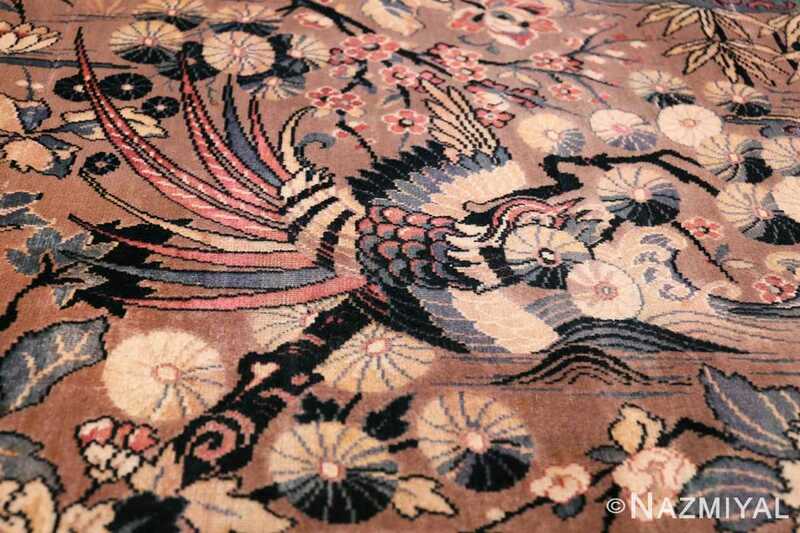 Needless to say, this vintage birds of paradise English Wilton rug is a beautiful and decorative rug. 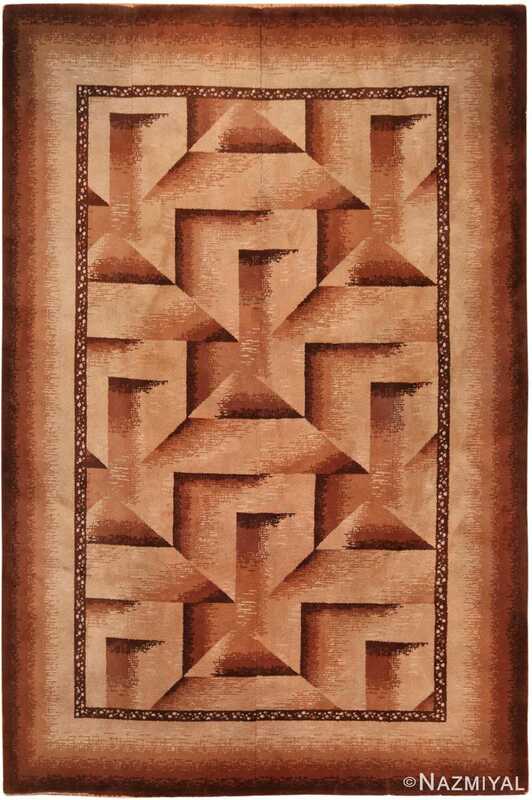 It is the kind of piece that could add a splash of artistic sophistication to almost any interior design style. 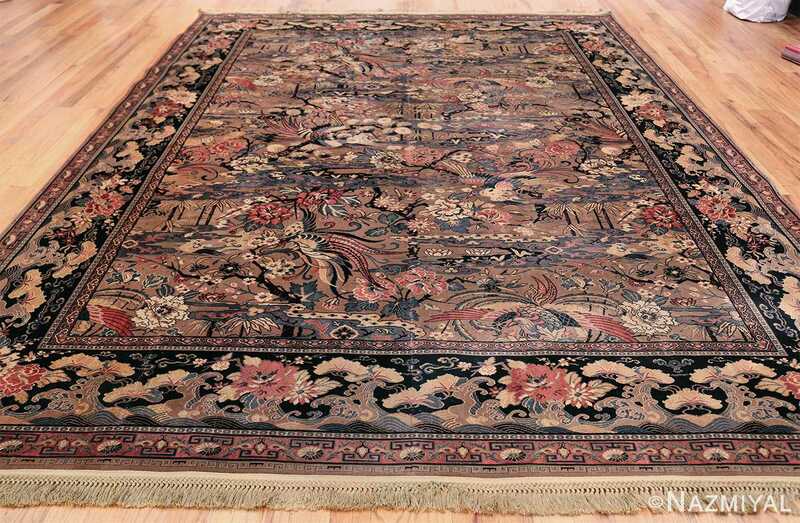 This dazzling antique English Wilton carpet is a sophisticated response to classic Persian rug design. 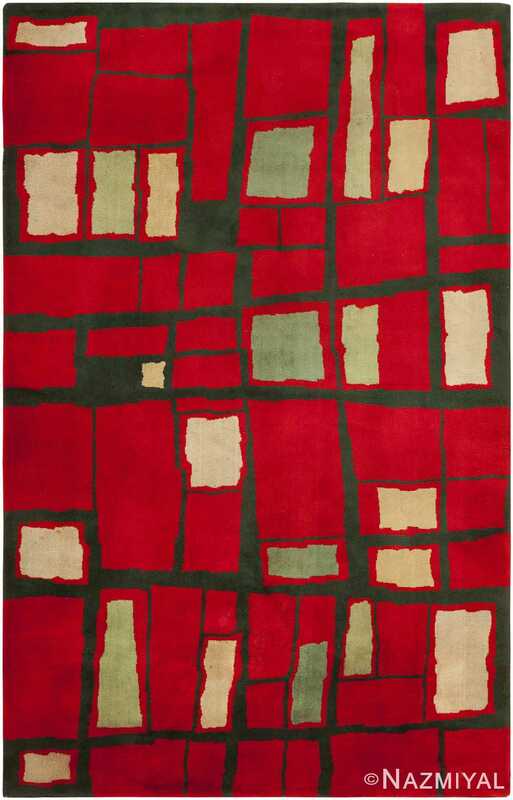 Embodying the artistic innovations from the beginning of the 20th century, this impressive art deco designed Wilton rug is the pinnacle of modernity and an enduring testament to contemporary art.